Located in the heart of Darling Harbour, International Convention Centre, Sydney and Cockle Bay Marina is easily accessible by public transport, including light rail, ferry and train and is only a 10-minute walk from Central and Town Hall train stations. Secure car parking is available and conveniently located within the Darling Harbour precinct. Cruise into Darling Harbour on a ferry with direct services from Circular Quay and Pyrmont Bay Wharf. Darling Harbour is only 8km from Sydney Airport. The Light Rail travels right through many Darling Harbour stations including ICC Sydney’s Convention and Exhibition stops. The Light Rail connects with Central Station in the CBD and travels to Dulwich Hill in the inner west. A short walk from Central or Town Hall will take you directly to Darling Quarter, Tumbalong Park and the Sydney Visitor Centre. Walking from Town Hall takes 10 minutes, and 15 minutes from Central Station. ICC Sydney has two car park facilities located within the Exhibition Centre and International Convention Centre’s Sydney Theatre, comprising a total of 826 car spaces. Additionally, there are several secure car parks located in and around Darling Harbour, the closest located at Harbourside Car Park, 100 Murray Street, Pyrmont. ICC Sydney has its own bus stop. Bus routes 389 and 501 stop at Harris Street near Allen Street – a 10-minute walk to ICC Sydney. The best taxi drop off and pick up locations include the new Iron Wharf Place next to Harbourside Shopping Centre and Zollner Circuit on the Southern end of ICC Sydney Theatre, both accessed via Darling Drive. The International Convention Centre, located in Darling Harbour, Sydney. This year’s event will cover up to 32,000 sqm of exhibition space over 2 levels, as well as feature exciting interactive activities on the event deck located outside on level 2, and access to the Cockle Bay marina directly in front of the ICC. ICC Sydney is easily accessible by public transport and is surrounded by restaurants and hotels. 2. When is the show open? Thursday 1st August to Monday 5th August 2019. Hall exhibits within the ICC Sydney (including the Event Deck): 10:00am – 7:00pm. 3. What are the public transport options? ICC Sydney is located within the heart of the city and is easily accessible through numerous public transport services including train, light rail, bus, ferry, taxi as well as parking options. To find a simple and clear public transport route visit NSW Trip Planner. 4. Can I park at the venue? Additionally, many secure car parks are located surrounding the Darling Harbour precinct, the closest being Harbourside car park – 100 Murray Street, Pyrmont. 5. Where can I buy tickets at the show? Tickets will be sold within the ICC at the main entrance to the Lower Level Exhibits (Level 2) and the main entrance to the Upper Level Exhibits (Level 4). You will also be able to purchase your Show ticket at a ticket booth located next to Cockle Bay Marina and of course you can always save time and buy your ticket online before you arrive. A link to buy tickets online will be available in 2019. 6. Do I need to print my EzyTicket (online ticket)? You do not need to print your ticket, as long as the ticket is available on your phone to be scanned this is sufficient. 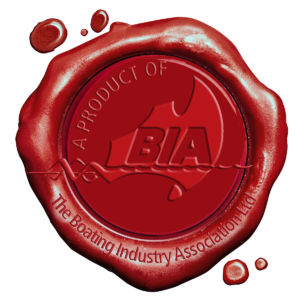 7. Who will be exhibiting at 2019 Sydney International Boat Show? An exhibitors list will be released online 3 weeks prior to the 2019 event. 8. How do I access the Australia International Dive Expo? The Australia International Dive Expo for the second year will be held within the Sydney International Boat Show, in the lower level Exhibits. Your ticket to the Sydney International Boat Show also includes access to the Dive Exhibition. You can see a list of Dive exhibitors here soon. A list of Dive Exhibitors will be released online soon. There are plenty of places to stay in Sydney but for accommodation closest to the Show, please visit DarlingHarbour.com. During Show hours, the cafes and rooftop restaurant within the Boat Show will keep you satisfied but pre and post show, there is no better place to be for dining options than Darling Harbour – for all budgets and tastes. The ICC Sydney is right on the waterfront precinct of retail spaces, entertainment venues and restaurants. The Boat Shows new home at ICC Sydney forms part of the $3.4b reinvigoration of Darling Harbour and provides local, national and global visitors the opportunity to discover Sydney’s top food, coffee and wine experiences in Cockle Bay and King Street Wharf. Visit DarlingHarbour.com for more information.